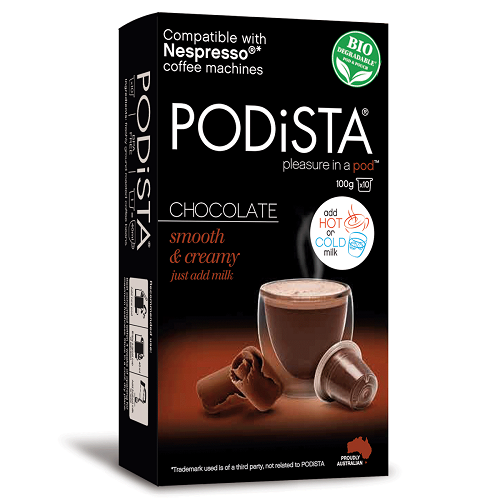 Turn your Nespresso®* machine into something fun for the whole family with chocolate pods! You bought a Nespresso®* machine for the coffee, right? Simple really, Nespresso®* machines make the best cup of coffee compared to all the other types of machines out there. But if you’re like me, you started to notice some of these other ‘coffee’ machines being advertised as ‘multi-beverage’ systems because they could make chocolate and other flavoured beverages. Again if you’re like me and can’t sit still for 2 seconds (I hope for your sake you’re not!) 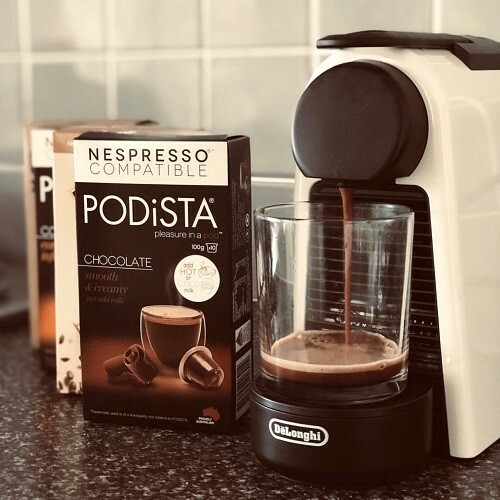 you may have called Nespresso to find out why they don’t make chocolate pods only to be told they do have chocolate flavoured coffee pods (yeah like that’s the same thing!) and that they are coffee purists blah blah blah. Happy customer photo by Kaz A.
Hmmm what to do?! 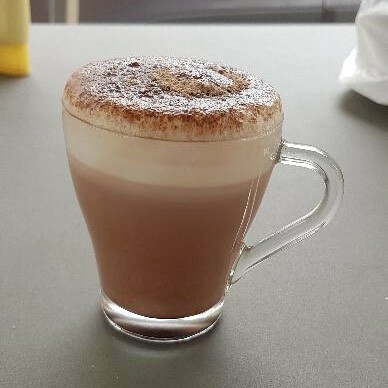 The Dolce Gusto®* machine seems to have the best chocolate pod but makes terrible coffee (in my humble opinion – don’t sue me Nestle!). Nespresso®* makes the best coffee, but doesn’t even offer chocolate! This was a problem I happened to be able to solve, being a producer of Nespresso®* compatible pods (or so I thought). It was so much harder than I thought to put chocolate into Nespresso®* compatible pods and I think now I know the real reason why Nespresso®* don’t do this (it’s REALLY messy!). BUY NOW with 25% OFF our range of Chocolate pods! Use code 'CHOC25' at checkout or click the link below and we will automatically apply code at checkout. Limited time. One use per customer. Happy customer photo by Emily M.
I know what some of you are thinking... Who are these exceptionally handsome innovators making the worlds first Nespresso® compatible chocolate pods? 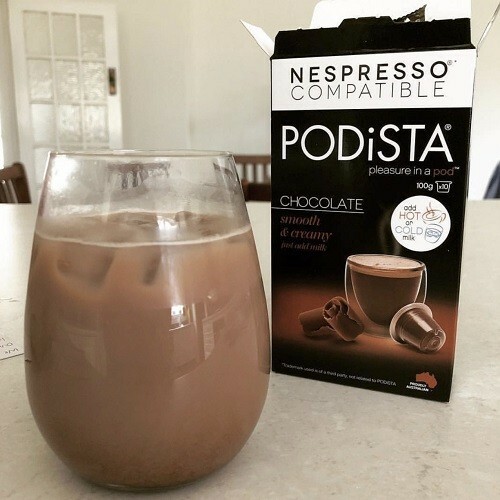 Well, we were the first people in Australia to launch Nespresso® compatible pods back in 2011 and we have since gone on to become an Australian coffee roaster and manufacturer of pods. This means you're buying direct from the producer and there is no middle man! Express Pods is one of our newest projects and since launching less than 12 months ago we've already had over 2,000 ⭐️⭐️⭐️⭐️⭐️ 5 star reviews! "Beautiful perfectly sweet and creamy!" - Abbie R.
So hit the ‘Shop Now’ button to visit our Chocolate product page. Our shopping process is super easy and you can checkout using Credit Card, PayPal or AfterPay. Once we receive your order, we will process it within 24 hours. We will ship it for free, even if you only order 1 pack. If you spend over $30 and live in a metro area, we will upgrade you for free to Express Delivery (excluding our great value bundle deals). Once delivered by Australia Post, our pods will impress you, your friends and your family. If for any reason you are not happy, we will give you your money back. As of January 2019 our Chocolate pods are now biodegradable*. Delighted - 10/10! The delivery time was good, the coffee is delicious. The communication from Express Pods was excellent and there was a surprise treat in the box! Plus the tips for making good coffee were really helpful. OMG 😮 Delicious. Every coffee, chocolate, baileys pod has been perfect already choosing my next flavours.